Indoor Air Quality Services | Sierra Environmental Testing and Consulting Inc.
Building occupants often complain of general health symptoms potentially related to poor indoor air quality that include cough or respiratory related illness, headache, fatigue, dry eyes/throat and nausea. These health symptoms may also stem from personal health conditions or stress. Indoor Air Quality (IAQ) assessments assist in identifying true building-related air quality problems. These problems may be caused by inadequate fresh air or make-up in the building. 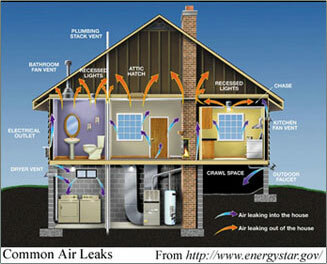 There are many other potential indoor sources of contaminants such as new material off-gassing, bacterial or fungal growth due to water intrusion, animal or rodent feces contamination, improper or inadequate ventilation for the type of use of the structure or the items used, stored or manufactured in the structure. Sierra Environmental Testing and Consulting © 2019 You are visitor #317.